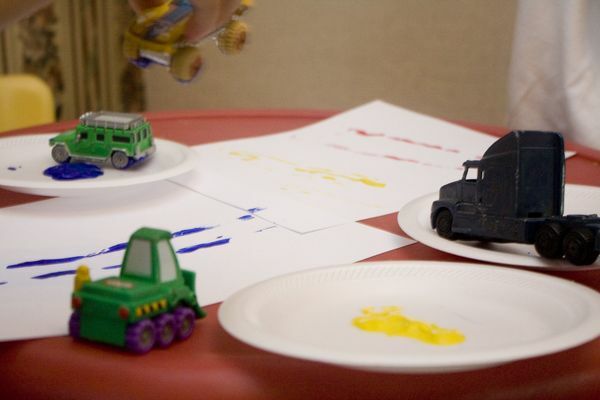 We just finished Beverly Cleary's "The Mouse and the Motorcycle," and it could not have come at a better time as we also had a Parents as Teachers get together with various vehicles in the community. 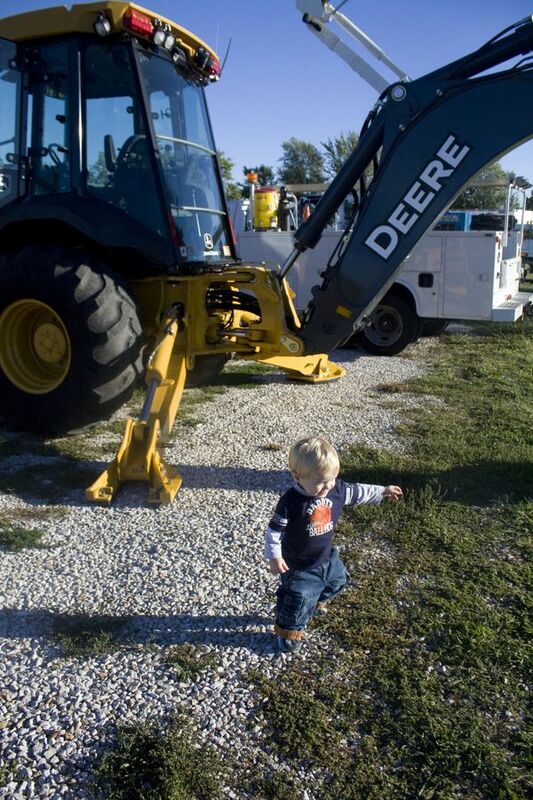 You can see in the pictures they weren't too interested in the vehicles this year; last year they did much better. 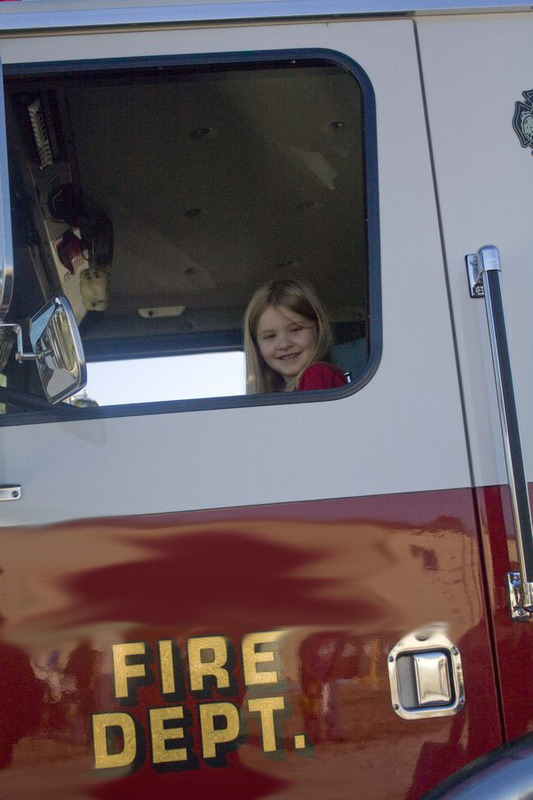 Bria was willing to set in the vehicles with lights. 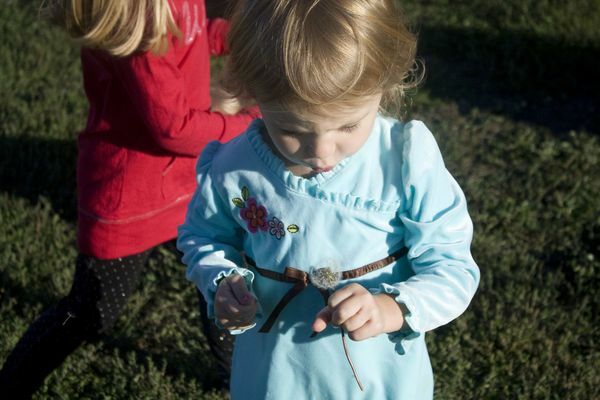 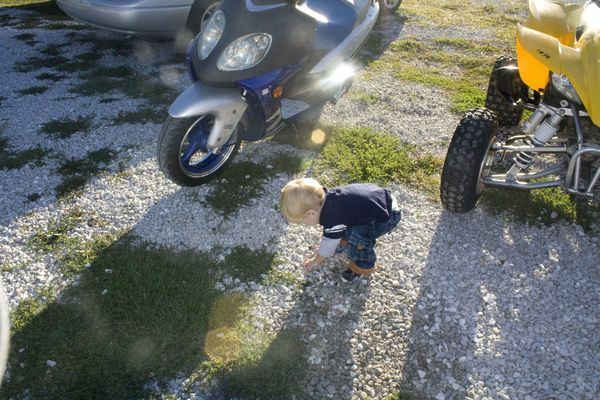 However, Eli only wanted to play with rocks, and Nadia was busy with dandelions. 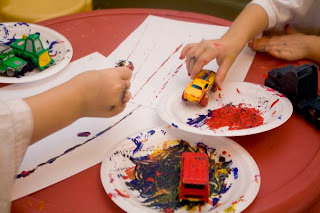 With all the transportation around us I decided we should try painting with cars for an art project this week. 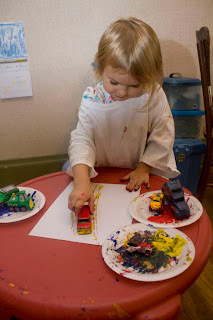 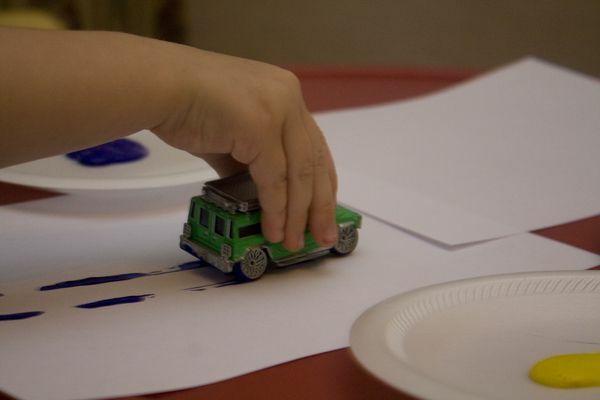 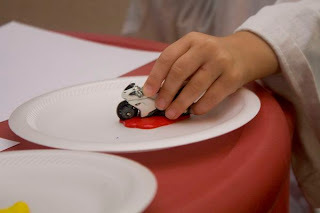 We selected a variety of vehicles that travel on land and tried painting with them. 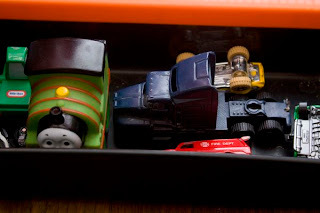 We ended up with a couple car, a SUV a semi, a firetruck, a motorcycle, a bulldozer, and a train. We had a train as well, but it was carried off (by Eli) before we could start. 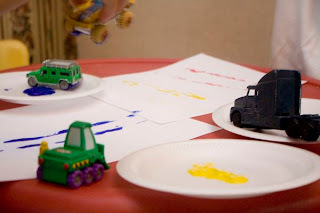 We just squirted a little tempra paint on some styrofoam plates and ran the cars through them. After the house smelled like tempra paint the rest of the day I regretted my choice in paints. 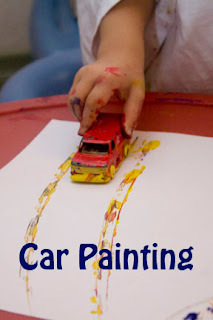 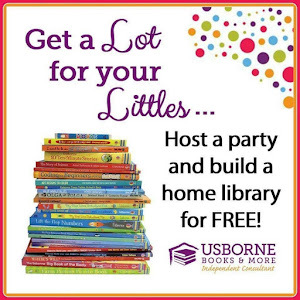 Maybe poster paint or even finger paint would have been better. Once the wheels were thoroughly covered in paint, the girls ran them across their paper in whatever direction they wanted. 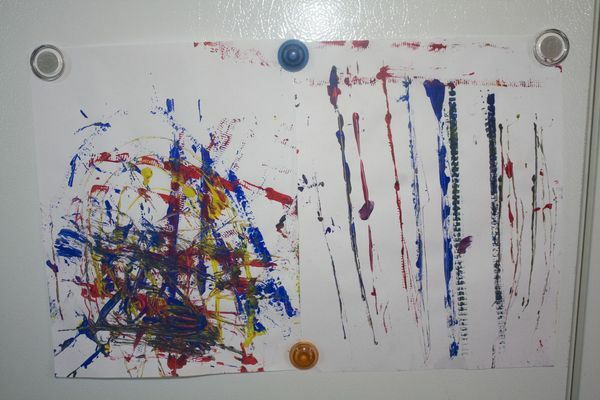 Bria was very abstract at first and then did one with lines. 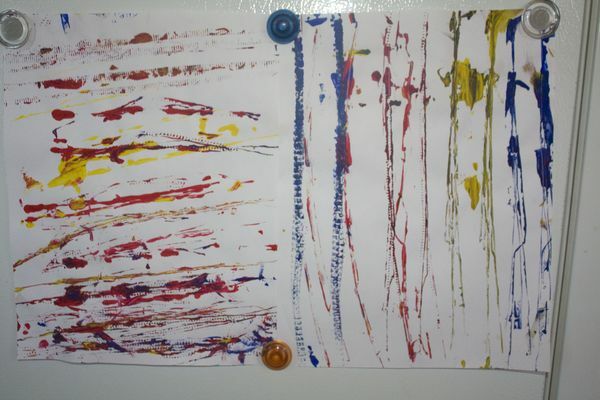 All of Nadia's were lines, but she continued painting until she ran out of paint.